Memorizing a few keyboard shortcuts when using a note-taking app will always help. I think you can start with Ctrl + Shift + N which allows you to create a new note. 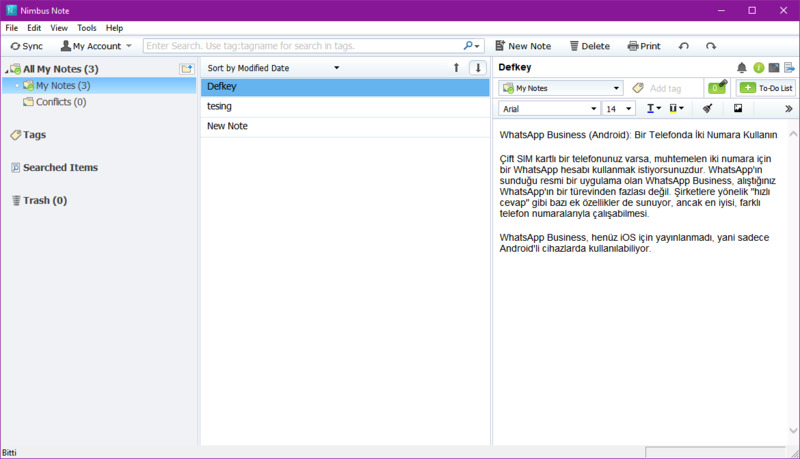 Nimbus Note is a note-taking application which can take quick notes, create to-do lists, save web pages and share notes. It is available on desktop, web, Android, iPhone and more. What is your favorite Nimbus Note hotkey? Do you have any useful tips for program? Let other users know below.